I was in fourth year college when I was diagnosed that I have psoriasis and sad to say that it has no cure yet. At that time, I had a mild case of psoriasis so I can say that I have still a normal life because people cannot see my psoriasis yet. I can do anything and I can wear any clothes, but things change after I gave birth to my son. I have psoriasis all over my body and I can’t even count them. I experienced severe psoriasis last year, see the story here. Having this skin condition really changed my life and I always wish that someday I would have a normal skin again. So I can do anything and I can wear anything I want. I’m grateful that my family and friends accept and support my skin condition. I’m also a member of Asian PsorClub and PsorPhil group so I know that I’m not alone in this battle. Every year, PsorPhil celebrates World Psoriasis Day and I really try my best to be part of this event. So far I’ve attended three funwalk since 2010. 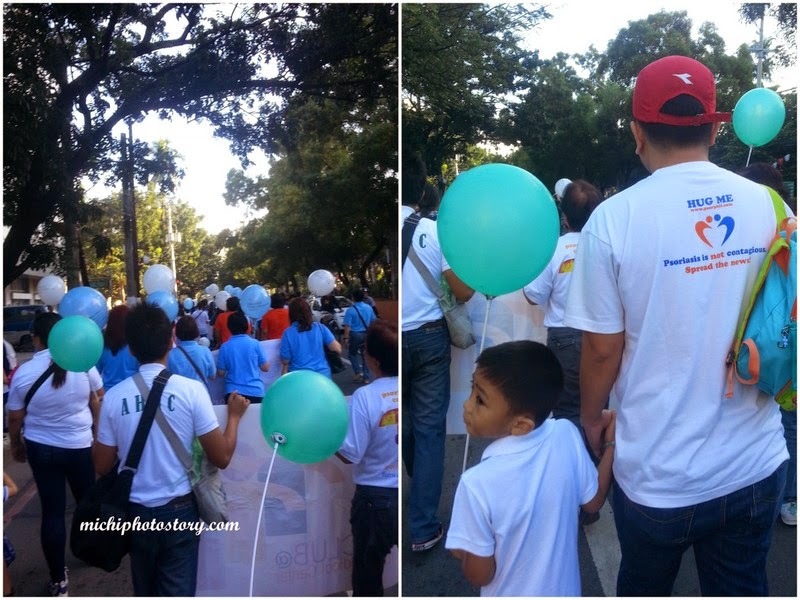 I attended the funwalk in 2010 and 2012 and last Sunday, Oct. 26, 2014. Just to give you an idea “World Psoriasis Day is a yearly event dedicated to people with psoriasis/psoriatic arthritis. This is a global event wherein people around the world perform activities to give an international voice to the 125 million people with psoriasis/psoriatic arthritis. In the Philippines, since 2011 we have National Psoriasis Awareness Week (23-29 October) via Presidential Proclamation. 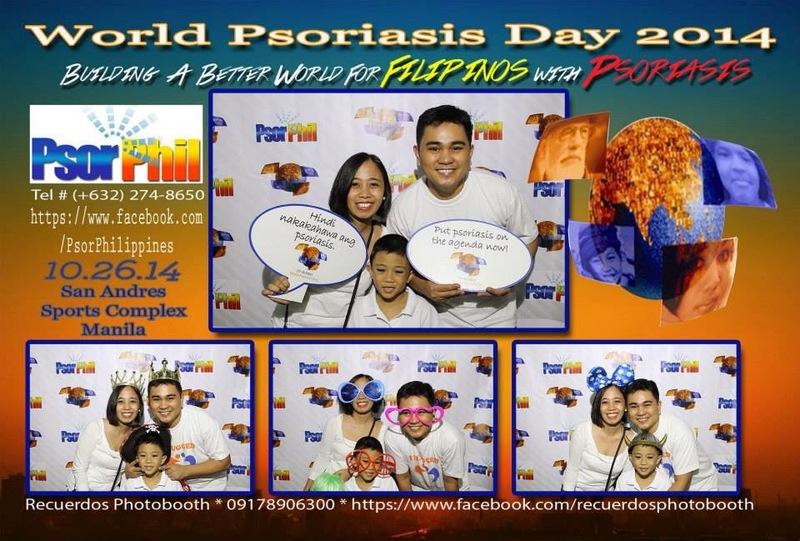 Last October 26, 2014, we celebrated the World Psoriasis Day at San Andres Complex. People with psoriasis, families, doctors and other supporters were there. 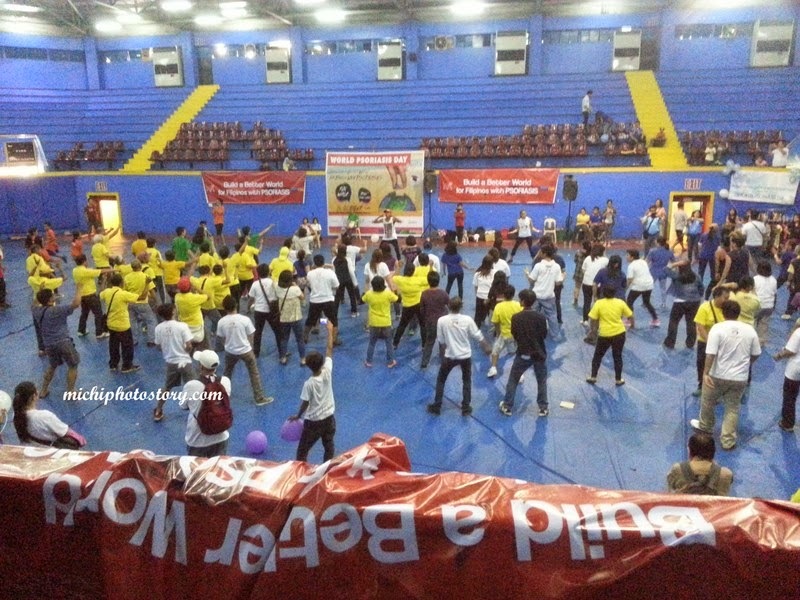 There were also cheering competition by different psoriasis club, raffle and Zumba party. It was a fun event and I hope we can really build a better world for Filipinos with Psoriasis because we want a normal life. Psoriasis is not contagious. Skin problems shouldn't be taken lightly...and yeah some people can be so judgmental. I think I was in high school that I had skin problems, and the doc said I had psoriasis. My parents took a second opinion and it turned out that it was just a simple allergy. My mom suffers from psoriasis too. It flares up when she's super stressed. I remember one time that she stopped working because her psoriasis got really bad. Wow this is good that there's a support group for individuals with psoriasis. It could be really hard for them. Oh I didn't know that Psoriasis patients need to be careful with what they do, eat or wear. I thought it was just skin asthma triggered by dust. Thanks for the info. Actually, we can wear anything but because of the skin condition, we tend to wear clothes that will hide it to avoid discrimination. went through an experience wherein i had wounds all over my arms and legs, people called it psoriasis, my classmates made fun of me, went for a second opinion and it turned out it was just allergy. im proud of you for being open about this...and to all those judgmental people out there??? up yours!! lol! It's nice to know that there's a support group for psoriasis. Surrounded by people who understand you and going through the same thing is surely a great help. Great that there's a group that support our kababayans with psoriasis. Skin problems should be taken seriously. For an organization to offer free consultation is definitely a good improvement.